I hope to be as plucky as O’Keeffe, still lacing up my traveling sneakers at an age when many think I should get a walker. Living as we do in an age of fear, it’s a real inspiration to see the exhibit now at the O’Keeffe Museum, “The Wideness and Wonder of the World,” devoted to the painter’s international travels in her 60s, 70s and 80s. Far from feeling intimidated, O’Keeffe was fascinated by the familiar in the unfamiliar—the meandering of rivers from the plane window, the pattern of stone ruins at Machu Picchu, the slope of Mt. Fuji from a distance. It’s very much the way she took to New Mexico, a land as foreign to the Wisconsin native as Peru. Today it’s easy for us to get caught up in the political and social landscape, so fraught with despair, worry, and unrest. 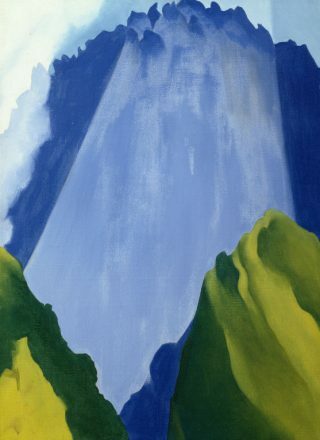 I find it a comfort to return to the abstract perspective of an earlier time, O’Keeffe’s magnified look at flowers or telescopic view of distant peaks, a generalization that was considered radical for its time. Of course, the world was a different place in the 1950s and ’60s, but it was still remarkable for a woman of her age to focus on the deeper visual truths of abstraction rather than on the particulars involving her personal safety and comfort. I have always loved to travel because it broadens my view in much the same way: Instead of seeing foreigners and strange lands, seasoned travelers see the broad strokes that unify us as cleanly as a curve or a shade of paint. Having hiked Mt. Fuji and Machu Picchu (where we are headed again this spring), I feel a time-travel connection to Georgia herself—a great comfort in an era where so much emphasis is placed on what divides, rather than unites us. La Fonda is excited to announce the release of our e-commerce website for our signature gift shop, Detours at La Fonda. 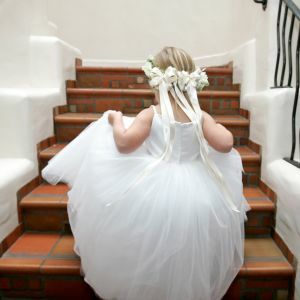 We expect to be adding new items frequently, so we hope that you will check back with us often as we feature new products, trunk shows and online specials. Our store manager, Linda Troynak, expects to add 35 new lines after this year's gift show in New York and she is so excited to get the first shipments into the store. To visit the online store, go to www.Detoursatlafonda.com and invite your friends. If you're in Santa Fe over St Patrick's Day weekend, make sure to stop into La Fonda for some Irish treats. 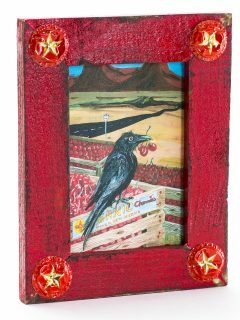 Detours will be featuring a trunk show by 2 Irish artists, Kerry Maeder, a New Mexico watercolor artist who has turned his original bold work into giclees on canvas, and Thomas Hogan, who crafts fabulous birdhouses from recycled materials, inspired by the churches of New Mexico. In addition, Detours now carries products from Santa Fe Spirits and they will be sampling their Colkegan Single Malt Whiskey in the store on St Patty's Day from 1pm to 4pm. And, when you are done tasting and shopping, continue the St Patrick's Day celebration and head into La Fiesta for a Black and Tan or Guinness on tap, corned beef cabbage and Irish music by the duo, Gerry and Chris. Chiles have a long list of health benefits and are known to contain antioxidants, including vitamin C and, are also known to fight inflammation, reduce blood cholesterol, clear congestion and, in general, boost your immunities. 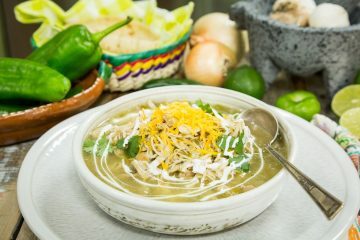 Combine chiles with mom’s chicken soup, and you have the ultimate cure-all for whatever is ailing you. If you are entering Spring with a touch of the flu or a cold, Chef Lane has created this recipe with you in mind! He also recommends cornbread as an excellent accompaniment. 1. In a 2 gallon pot, melt the butter over medium high heat. 2. Once the butter is melted, sweat* the onions, celery and carrots until the onions are translucent. 3. Now add the green chile and cook for about 10 minutes. 4. Slowly add the flour and make a roux with the above ingredients, cook on medium heat for 5 minutes. Make sure to stir until all the lumps are gone. 5. Add the stock and bay leaf and bring to boil. Now turn down to a low simmer. 6. Add the half and half, chicken and egg noodles. Bring back to boil and season with salt and pepper to taste. *Sweating in cooking is the gentle heating of vegetables in a little oil or butter, with frequent stirring and turning to ensure that any emitted liquid will evaporate. Sweating usually results in tender, sometimes translucent, pieces. Local fans have been soaring high on the Pleasure Pilots’ old-school sound for more than two decades. Good news for them is that the band will have regularly scheduled flights from La Fiesta Lounge every third weekend, starting in April. The jazzy R&B band is a favorite at parties and other celebratory occasions that call for an upbeat, brassy sound—including playing at least one New Year’s Eve at La Fonda. They play the Bandstand every summer as well as festivals like Balloon Fiesta and the New Mexico Jazz Workshop. Composed of tenor sax player Ray Griffin, Ryan Finn on trombone, Fred Spencer on guitar, bass player Terry Bluhm, Peter Amahl on drums, and bandleader David Phillips on keyboard, the Pleasure Pilots play a mix of originals and classics from the likes of Ray Charles, Fats Domino, T-Bone Walker and Albert King: rockabilly, swing, basically the roots of R&B. “They’re working on a new CD and busy booking appearances for 2017, but loyal fans can count on seeing them at La Fiesta Lounge every third weekend of the month except for holidays (such as this month, when they play the 24th and 25th in deference to Irish-themed music on St. Patrick’s Day). Check their website for an up-to-date schedule, and sample the in-flight entertainment at www.pleasurepilots.com. Lighten up and let yourself laugh! There’s nothing like an evening at the theater to transform anxiety to art, and this month there’s plenty of mirth to be had on stages around town. 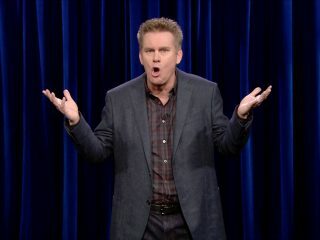 Visiting comics include Brian Regan at the Lensic (Mar. 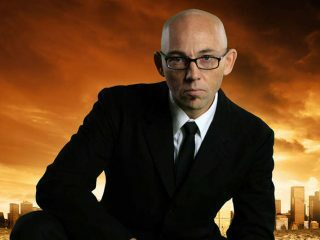 2) and Ian Harris at Skylight (Mar. 9), or the parody Menopause the Musical, featuring classic tunes from the ’60s, ’70s and ’80s (Mar. 28). The Santa Fe Playhouse stages Paul Slade Smith’s comedy Unnecessary Farce (through Mar. 12), as well as an adaptation of George Orwell’s 1984, which has risen to the best selling book on Amazon in light of recent political rhetoric (Mar. 30-Apr. 16). The relatively new Adobe Rose Theatre is worth checking out: Ron Hutchinson’s comedy Moonlight and Magnolias plays Mar. 16-Apr. 2. 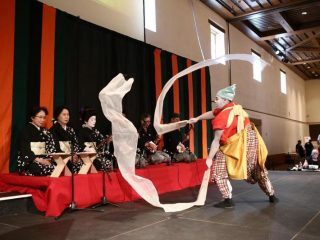 At the Lensic, you can get your ya-yas out with the furious drumming of Kodo: Taiko Performing Arts Ensemble (Mar. 23), Teatro Paraguas’ Flamenco Fiesta 2017 (Mar. 31-Apr. 2), or delight in a spicy revue from Bollywood performers Taj Express (April 12). For something more aesthetic, Aspen Santa Fe Ballet presents the world premiere of Broadway choreographer Cherice Barton and other pieces (Apr. 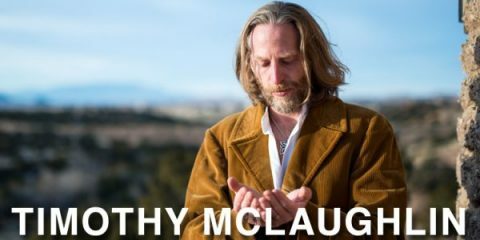 8), poet Timothy McLaughlin performs traditional Celtic legend and dance at the Santa Fe Women’s Club (Apr. 9). 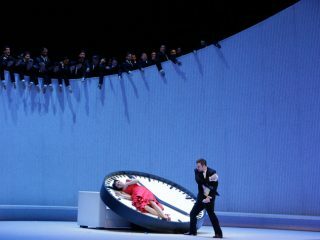 Of course there’s also live screening from the Metropolitan Opera in New York and London’s National Theatre: Verdi’s La Traviata (two shows, Mar. 11), a rare revival of Mozart’s Idomeneo (two shows, Mar. 25), and Anna Netrebko reprising her lead role in Tchaikovsky’s Eugene Onegin (two shows, Apr. 22). National Theatre Live will broadcast a new version of Ibsen’s Hedda Gabler (Mar. 9), a new twist on Shakespeare’s comedy Twelfth Night (Apr. 13) and a fresh 50th anniversary production of Tom Stoppard’s comedy Rosenbrantz & Guildenstern Are Dead, all showing at the Lensic. And you can get your adrenaline pumping without leaving the building when the Lensic screens the best firms from the 41st annual Banff Mountain Film Festival (Mar. 6-7). 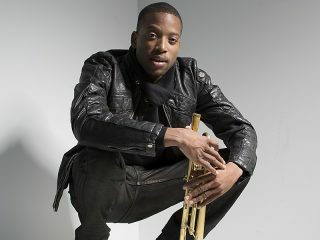 Trombone Shorty brings his New Orleans funk/rock/jazz/hip-hop band to the Lensic (Mar. 3), followed by a series of songwriters: Jimmy Webb reflecting on his years working with Glen Campbell (Mar. 4), and the Americana trio of Hayes Carll, Bob Schneider, and Eliza Gilkyson (Mar. 10). 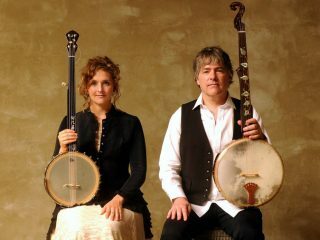 Banjo players Bela Fleck and Abigail Washburn showcase the instrument’s versatility (Mar. 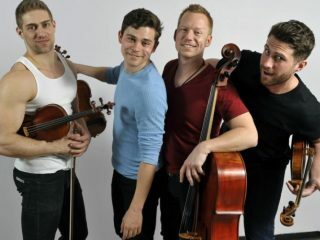 13), and the quartet Well-Strung does the same with string instruments traveling from classical to pop (Mar. 14). Well-Strung also plays a family concert at the Santa Fe Women’s Club on Mar. 12 and tickets can be purchased here. Later, Carlos Núñez plays Galician bagpipes (Mar. 21), Dervish performs Irish music (Mar. 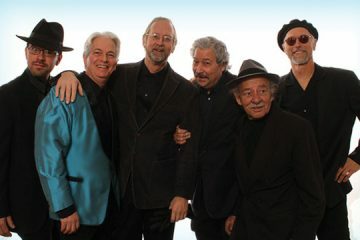 26), and Dawes returns to Santa Fe, where they started (Mar. 22)—all at the Lensic. Elsewhere, Masters of Hawaiian Music (Mar. 5) play the James A. Little Theater, followed by Donavon Frankenreiter with Grant-Lee Phillips (Mar. 7), and “Powerfunk” Brooklyn band Turkuaz (Mar. 11). 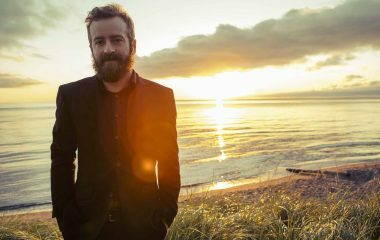 The latest rock ‘n’ roll project by Trampled by Turtles’ Dave Simonett, known as Dead Man Winter, will play the Bridge at Santa Fe Brewing (Apr. 1). At Meow Wolf, it’s Lady Lamb (Mar. 6), Mykki Blanco (Mar. 9), Desert Daze Caravan (Mar. 12), LVL UP (Mar.13) and Princess Nokia (Mar. 18). Coming in April are Strand of Oaks (Apr. 1), Chicano Batman (Apr. 11), and Whitney (Apr. 25). 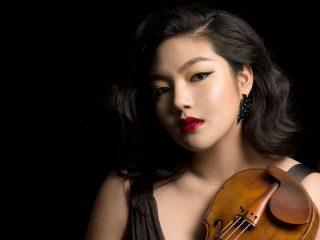 On the classical side, violinist Jinjoo Cho joins the Santa Fe Symphony orchestra in a program of Glazunov and Mahler (Mar. 19); then principal horn Nathan Ukens will solo in a springtime concert of Chabrier, Haydn, and Schumann (Apr. 23). Santa Fe Pro Musica presents the Calidore String Quartet at the St. Francis Auditorium (Mar. 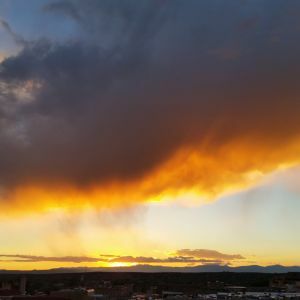 5), the New Mexico Bach Society plays its annual concert (Apr. 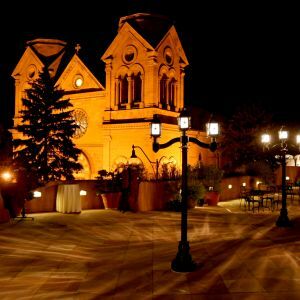 9), and there will be three baroque concerts for Holy Week at Loretto Chapel (Apr. 13-15). Pianist Anne-Marie McDermott returns to town to play Beethoven (Apr. 29-30) at the Lensic, with an artist dinner offered Sunday. The Santa Fe Community Orchestra performs its free mid-season concert with its chorus and choirs from local schools at the Lensic (March 5). At First Presbyterian Church, the Santa Fe Symphony Chorus will perform three European masses (Mar. 12). The New Mexico Bach Society performs its annual concert at Immaculate Heart Chapel (Apr. 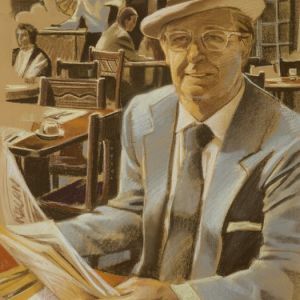 9), and Serenata of Santa Fe has a concert with the theme Paris (Mar. 26) at First Presbyterian Church. Toadlena Trading Post owners Mark and Linda Winter talk about their historic Navajo trading post at the Museum of Indian Arts & Culture (Mar. 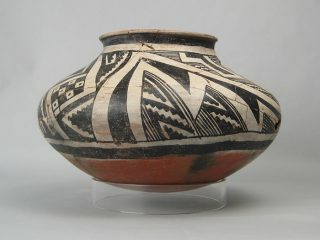 16), where Santa Clara Pueblo potter Joy Naranjo will open an exhibit of her work (Apr. 2). Archaeology buffs are invited to tour the museum’s Center for New Mexico Archaeology, repository for more than 8.5 million artifacts, with multiple specialty laboratories (Apr. 20). 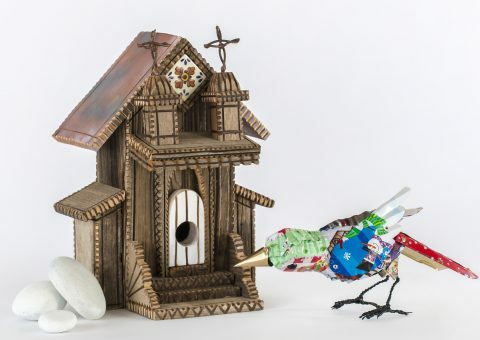 The Museum of International Folk Art is opening No Idle Hands: The Myths & Meanings of Tramp Art, a rare look at a woodworking style from the 1870s to 1940s mistakenly attributed to hobos (Mar. 12). East Indian quilts and quilters are the topic of a talk (Apr. 3), followed by a textile sale. 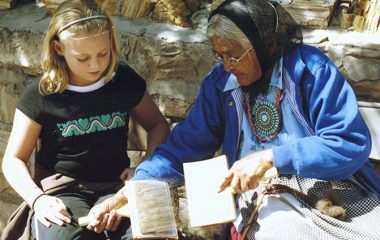 The New Mexico Museum of Art hosts a free statewide high school poetry recitation championship (Mar. 12). An exhibit of watercolors by Cady Wells and unconventional photography by Meggan Gould and Andy Mattern (Apr. 7) get a joint opening reception for First Friday, with new curator Christian Waguespack on hand. 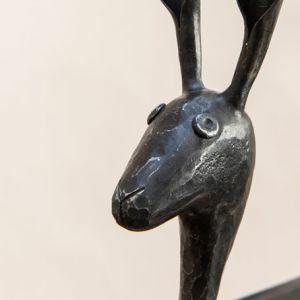 The next day, the museum takes part in a worldwide movement to appreciate preselected museum works on Slow Art Day (Apr. 8). It's a little bit of everything this month with the jewelry extravaganza Bead Fest Santa Fe at the convention center (Mar. 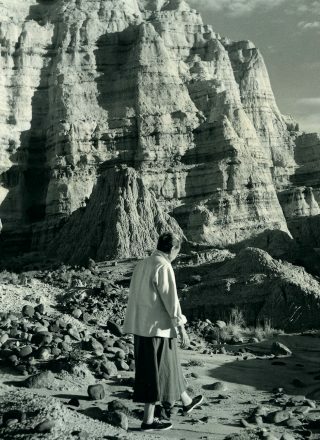 23-26); Outdoor Vision Fest at the Santa Fe University of Art and Design (Apr. 28)—a free self-guided exhibit of environmental art, video, and light installations projected onto buildings—and the annual Japanese cultural festival of Santa Fe known as Matsuri 2017 at the convention center (Apr. 29). 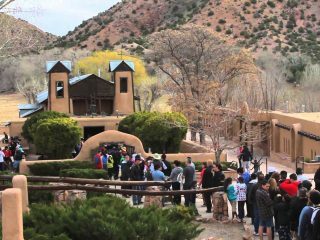 During Holy Week, a pilgrimage unique to New Mexico takes place as tens of thousands walk and carry crosses to the Santuario de Chimayo (April 16). 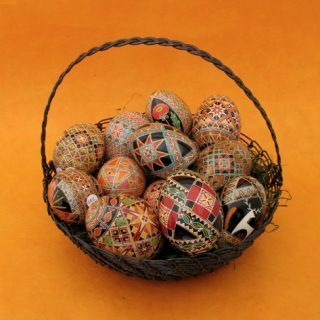 Join us in La Fonda's Exchange Room, just off the lobby, to welcome Spring by crafting painted Ukrainian Easter eggs, pysanky, a tradition that dates to pre-Christian times. 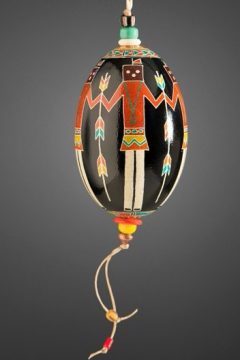 Contemporary pysanky artist Susan Summers will give a free demonstration from 1 to 4 pm on March 4 - ask at the Concierge Desk for details. 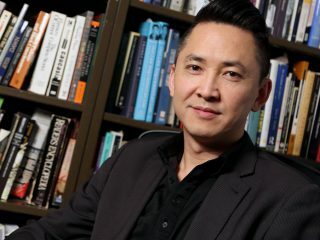 The Lannan Foundation’s literary speaker series joins Pulitzer winner Viet Thanh Nguyen with novelist Maxine Hong Kingston (Mar. 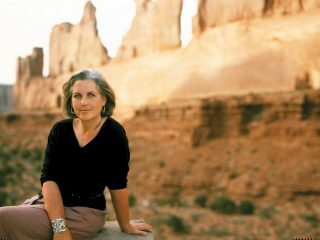 29); in current affairs, environmental activist Terry Tempest Williams speaks with novelist Colum McCann (Mar. 8) at the Lensic. 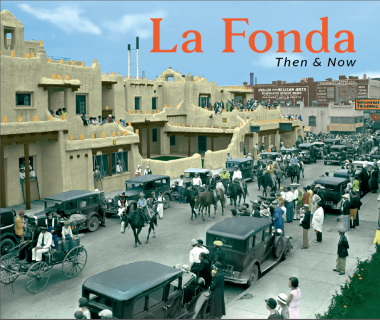 Hispana author Carmella Padilla looks at three generations of women in the Fenyes/Curtin/Paloheimo family who founded a number of Santa Fe cultural institutions in a free talk at the New Mexico Museum of Art’s St. Francis Auditorium (Mar. 28). 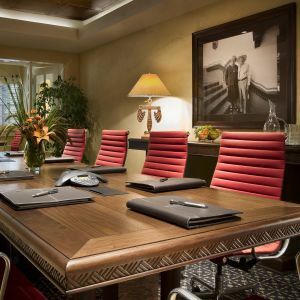 Another free talk from the Santa Fe Institute has Michael Kearns discussing the use of algorithms and social fairness in “Machine Learning and Social Norms” (Apr. 4) at the Lensic. 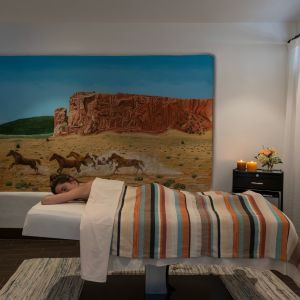 And Spanish Market artist Peter Lopez will present a slide lecture on the mural art of Edward O’Brien, who worked in New Mexico in the 1960s and ’70s (Mar. 15). 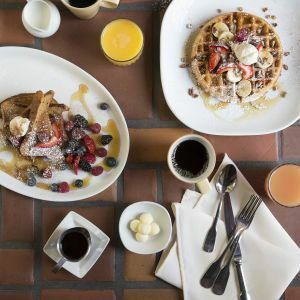 Love La Fonda? 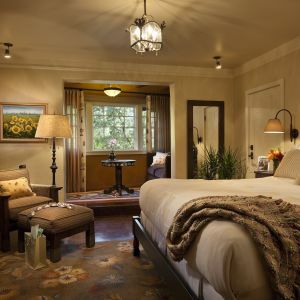 Help us win in the hotel category for the Travel & Leisure World Awards by voting HERE. Deadline is March 6th!